With the rise in Digital India, online banking is at the forefront than ever before. 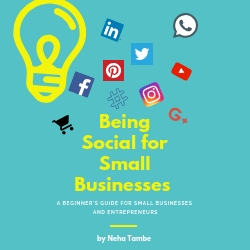 While being online and using technology to grow is important, in a country like India where, societal, educational, economical, social disparity is huge, embracing technology comes with its own challenges. Being always online and easy accessibility has also opened worries about cyber security. Instead of being fearful, we need to be vigilant about a few things. Always use licensed antivirus software for your home PC and mobiles. Pirated versions of anti-virus may be easily available however they fail to protect you as important updates are not available. In an age where new threats and viruses are detected everyday, it is important that we act wisely and buy a licensed version. Always use secure networks while making any kind of transactions online. Your home system is the best place to use your online account. Avoid logging into your bank account from common computers like in a cyber café, library or even office systems. Be wary of accessing your bank accounts when logged in via free wi-fi networks as they are not secure connections. If you have to login, then be sure to clear cache, erase browsing history and delete all temporary files from the system. Never allow the system to remember your username and password. It is better if you change your password afterwards from a secure network, in the event of such unsecured network login. It is essential that you create a strong password. In this age of cyber-attacks, it is essential that you have a strong password and you change it regularly for extra safety. It is advisable to have a good password manager to store and create strong passwords. Keep your system software upto date. Look for regular updates and download them. These updates usually have patches and safety solutions for any latest viruses and other security threats. Turn on automatic updates for your computer and mobile. While using cards has today become an essential part of our daily transactions, it is important that we are vigilant when we hand over our card. Don’t let the handler take the card away from your view. When using the card in an ATM center, look out for any padded keys, chipped or uneven keypad. Always use an ATM that has a security guard posted. Also look for camera’s when in the ATM. Connect with your bank and activate your mobile notifications for your bank accounts. These notifications help you by sending an SMS alert whenever there is a transaction from your account. In the event of a hack or suspicious dealings, you will be alerted immediately and this will help in taking quick, corrective measures. Almost all banks offer this service and some charge a fee for it, however in view of the security that it offers the charge is nominal. Try and avoid clicking links in the emails, especially if they look funny. With higher sophistication levels among hackers, it has been observed that emails that look very similar to bank mailers, have been created with phishing links and when someone clicks on it, sensitive data is siphoned. There are various ways that the data can be stolen without your knowledge. Trojan – Trojan is an internet virus that gets downloaded on your system via a backdoor while you are surfing the internet or downloading files. Android based mobile phones are open source accounts that are most susceptible to such attacks. A Trojan monitors your online activities and steals sensitive information. An effective anti-virus with regular scans help keep Trojans at bay. If you have banking apps, then make sure to scan your mobile before you use them. Phishing emails – These are innocent looking email that asks you to part with sensitive information in lieu of some prizes, or other benefits. It might also look like it’s from your bank or friends asking you to check a very authentic looking page. These pages ask for information related to back account or card details and the page has a malware attached that steals your details. Always check if the page to be clicked is secure. Check for ‘https://’ and a padlock sign which is green in color. It is a good idea to type in your bank website in the browser, instead of clicking a link. What to do if your account is hacked? In the event of a breach it is important to stay alert and secure the account rather than panic. The initial 24 hours are extremely crucial and if you are vigilant then you can save your account and might even recover the funds lost. If you are using mobile and email notification, and you come to know about some fraudulent transaction, then contact the bank helpline and block the card immediately. Many banks even have an auto-call system to cross check with the client, the authenticity of a transaction if the amount is high or transaction looks dubious. However, if you see a suspicious payment or withdrawal, however small, cross check the same and block the card. Next, look at the transaction string and connect with the merchant’s fraud department informing them of fraudulent activities. In most situations, the merchant can cancel the transaction thereby protecting your account. However, this is possible only if it is done within 24 hours. If your back account is hacked, then clean the system with the latest anti-virus software and report the crime to the bank. You will also be required to file a police complaint. Once the system is clean, change your password. Regularly check your bank statements for any irregularities. The window to act is small of 24 hours, so it is important that we stay vigilant and alert. We need to embrace changes and technology, but also stay alert to enjoy full benefits of the digital era. Have an opinion about blockchain, cryptocurrency, and #Budget2018, #Budget2018crypto and cybersecurity? Write your post, mention Utpal, Dr.Amrita Dr.Bushra, Neha, Geethica, Hiral in it and link to us. Share on Twitter tagging @misra_amrita @foodietweeter @nehatambe @gleefulblogger and we will always respond. Card swiping is truly an essential part of shopping as we don’t need to carry money everywhere. But yes we need to be alert at all times especially when the handler is swiping our card. On or two times, my man didn’t see the amount entered by the merchant before putting in the pin. And then we had to cancel the transaction, call the customer care and what not. Very true Geethica. I too had a similar problem once. These are great tips. We miss out on small things and then regret later. I have seen a out of people getting duped Coz of their own callousness or lack of knowledge. Sharing this post for the benefit of others! Very true Neha, being vigilant and aware can help. “Look where you swipe!” So useful in today’s times when everything is online. Also not to mention the transfer options. Thanks for these tips. All the points are equally important but I think strong password, secured network and being vigilant while clicking are top three. That’s a great list of tips. With the increase in online thefts, I am always paranoid about losing all my money. These are some very basic yet essential tips to maintain cyber security. Thanks for sharing this very useful post. I had heard so many scary things about internet scam and frauds, and yes it is very crucial to be aware and safe while using internet banking. thanks a lot for sharing these great tips. Those are some great tips. Thanks for sharing them. These are some valuable tips. I have had an international fraud transaction on my credit card once and all my calls to the bank were futile. then someone suggested I file a police complaint. I thought this would be a wasteful exercise but after I did that and filed the report with the bank my issue was resolved in record time. These are excellent tips that everyone should follow. I once had a fraudulent transaction on my cc and after that I have been very very careful. It’s such a hassle to even get it corrected. Better safe than sorry. I recently had a very bad experience with a malware on my laptop. It took more than 2 months too remove and all my work was affected. Though I was just lucky that it didn’t affect my banking. I wish I had been more careful with my internet security. Thanks for these tips. Touch wood I haven’t faced this problem. But I had lost my card as I had dropped my wallet. I got my card blocked immediately. Very useful post. Very important tips to keep online transactions safe! It is a daunting process, nevertheless with a strong password and acting quickly in case something goes wrong are equally important. This topic certainly needed spotlight, thanks for sharing ! These are some very important points. Have heard so many cases of credit card thefts. Mobile alerts are really helpful. Thank for reminders. Some really helpful tips here. Safe online banking is so important.. thanks for such a useful article. We keep hearing cases of online frauds every now n then. In this era where have already seen two three people victim of hacking, these are very good and essential tips. Very well written. These are some great tips Neha. Cyber security is very important as most of the things are online these days. Better to be vigilant. Very good tips shared Neha. We need to be aware and create awareness on this topic! Excellent tips to keep out accounts safe and being safe with netbanking. Very helpful post. Yes I truely believe in getting sms alert for all my bank transactions. I have gone through suspicious transactions when I had to block my card. 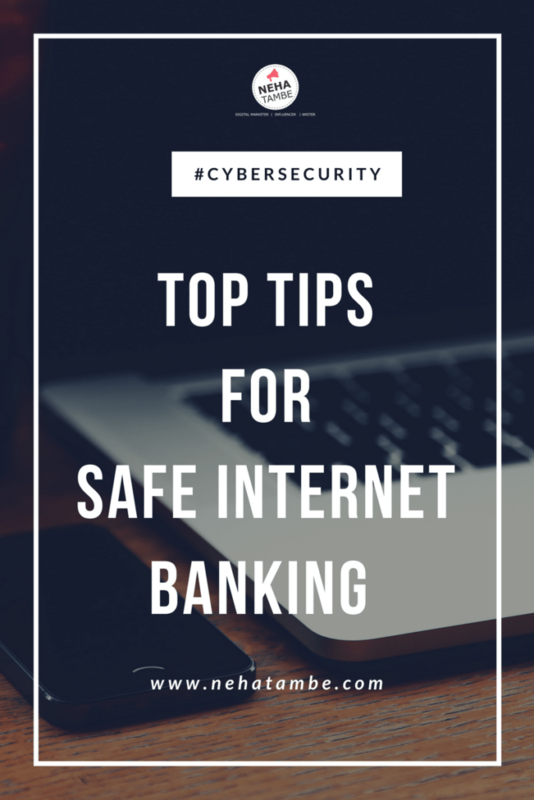 Great tips on staying safe while internet banking. Phishing scams seem to be the most popular way of hacking into bank accounts recently. It’s important to stay vigilant. Also, nice of you to include tips on what to do after your account gets hacked. Agree with your points but I think keeping a safe and secure network is a prerequisite. Cybersecurity a must for those who indulge in a lot of internet banking and shopping.